The more than 1000 different cells in the human body are capable of moving energy and material to those places in the body, where there is the need for it, and that way ensure that the body is a well-running machine. 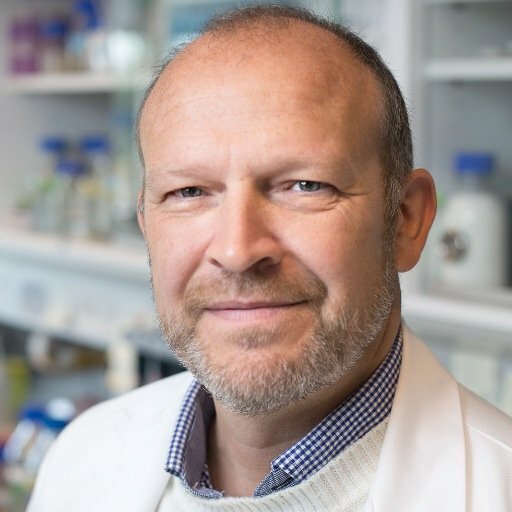 Poul Nissen, head of center at PUMPkin, and his research team have now succeeded in revealing basic insights about the body’s molecular functions, that up until now have been unknown. The team’s experiments have especially revealed how a single molecule in the molecular “motor”, also known as the calcium-pump, works. The discovery was recently published in the leading, scientific journal, Nature. The so-called calcium-pump measures only a few nanometers – a millionth of a millimeter – on each side, and it is placed in the cell membranes in our body. The little pump is though important, and if it stopped working then all the cells in our body would stop communicating. Poul Nissen’s team, PUMPkin, and their study showed how the pump functions at the level of a single molecule, and how it ensures that ions are pumped in the right direction. In other words, how the pump works as a molecular one-way street. Knowledge about the pump is crucial in order to make us understand the energy resources in the body, as well as how the cells use the body’s fuel, ATP, to keep the pumps moving. “We are now one step closer to understanding how the ion pumps ensure the functions of the cells. We have characterised how it pumps ions out of the cell at an unprecedented level of detail. The importance of such basic knowledge of biophysical processes can only be underestimated. It will have a great influence on our understanding of the processes of life and, in time, on disease treatment,” says Professor Poul Nissen. The center’s funding period started in 2007 and ends this year, and the team’s discovery of previous unknown aspects of cell pumps certainly is a fine way to end on the top – and a way to make cell “pump fiction” become cell “pump facts”.